Mexican rental house, Loto Audio, has invested in a Vero system as the company prepares to “blow people’s minds’ with the next level of tour sound. Loto Audio’s founder, Ramon Salazar, explains: “From the first moment we heard Vero, we wanted it. It will blow a lot of people’s minds, especially compared to what they are used to hearing. It’s always a good time to invest in any Funktion-One product, but adding Vero to our rental stock means we can reach big festivals and hit the rock/touring market. As a complete, large format touring sound system – featuring loudspeakers, amplification, rigging and software – Vero combines outstanding sonic performance with the ease of use of a line-array system. By returning to first principles, audio engineering legends Tony Andrews and John Newsham have been able to completely re-think the vertical array, creating a system that maximises both audience experience and user convenience. The Lambda flying system, for example, allows for adjustment under load and facilitates quick and easy deployment, while the system’s Projection design and prediction software enables Vero users to optimise array designs for smooth audience coverage and generate detailed venue-specific system information. The Vero range features six highly-efficient, low distortion horn-loaded loudspeakers – the V60 mid-high, V90 mid-high and V315 mid-bass, with a choice of V221, V124 or V132 bass. The V60, V90 and V315 have identical dimensions, enabling them to be flown in the same vertical array, while the ground stacked V221, V124 and V132 bass enclosures offer a choice of size and low frequency extension. A single Vero enclosure can perform as a standalone unit because it does not rely on near field coupling from adjacent boxes to achieve the desired frequency response. This allows new thinking with enclosure configuration and deployment. The Vero system uses a new process called Geometric Energy Summation (GES), which facilitates mutual reinforcement in the far field, while giving outstanding directivity and level control. For Salazar, the purity of sound produced is unsurpassed. “When you hear it, you understand why they called it Vero; it’s like hearing the truth,” he says. 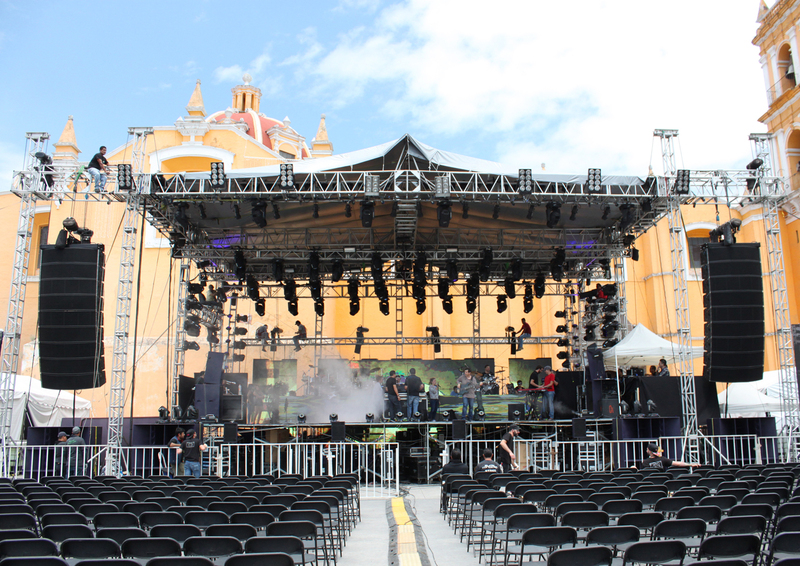 Mexican audiences got their first taste of the new Vero system during a live performance by national favourites, Mijares, to mark the country’s Independence Day celebrations on 15 September, with many more festivals lined up for the end of the year. That includes the Ritual Psychedelic Arts Festival (18 – 20 November), where Loto Audio’s four stages will feature Funktion-One loudspeakers, including one stage with Res 4s, another with Evo 7Ts and two stages with Vero – the main stage and another live music stage. 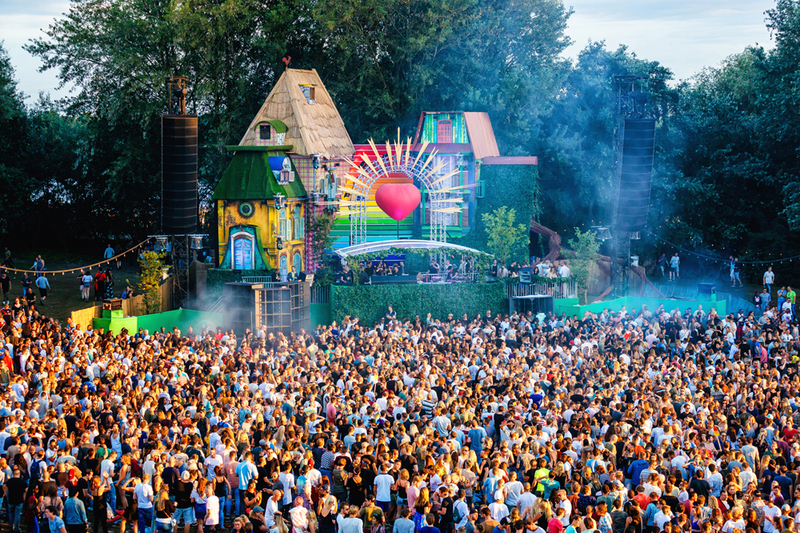 The company will also supply sound for Day Dream Mexico (24 – 25 November), the hugely popular EDM festival based in the city of Puebla, two hours from Mexico City. Rental companies, sound engineers and producers are invited to a demonstration of Vero at Loto Audio’s introductory event, taking place in November. For more information contact info@lotoaudio.com.mx.